Readers often ask me how to build a portfolio that holds its own in down times but hands them more income than the measly 2.6% long-term US Treasuries pay. So today I’ll show you how to do that. 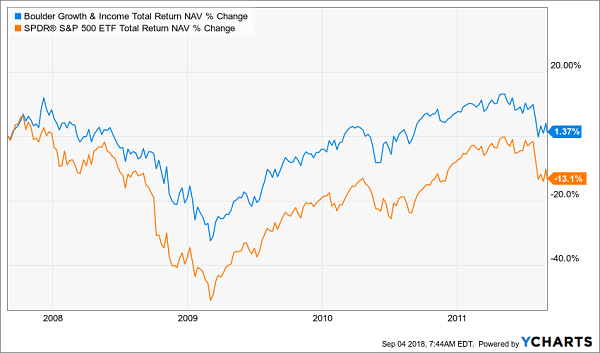 With the 4 bargain-priced closed-end funds (CEFs) I’ll show you below, which also boast strong track records and high income streams, you can keep the dividends flowing, regardless of the market’s tantrums. An added plus? Your nest egg will be spread across asset classes, giving you extra protection. 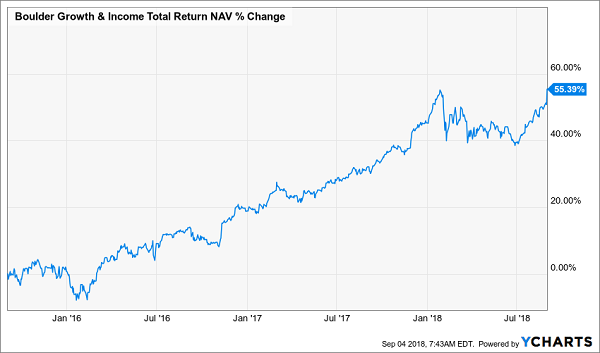 With a long-term average total return of around 8.5% per year, US stocks need to be at the heart of any income portfolio. 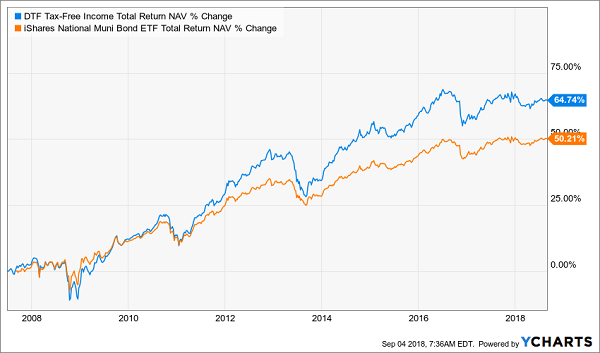 And the beauty of closed-end funds (CEFs) is that you can get a return like that, along with a large cash stream you can reinvest or use to pay your bills. And since BIF gives you a 3.7% dividend stream, versus the 0% Berkshire pays, you can harness the power of value investing without sacrificing income with this fund. This has created a buying opportunity for a fund that hasn’t cut its dividend since its IPO over a decade ago—something only a select few CEFs can say. The result? Steady income through thick and thin, with limited downside, thanks to GLU’s huge discount. That should make income investors happy no matter what the economy does. Municipal bonds are a great way to get a large income stream no matter the economic climate, because they have a government guarantee and one of the lowest default rates in the world—less than 0.01%! 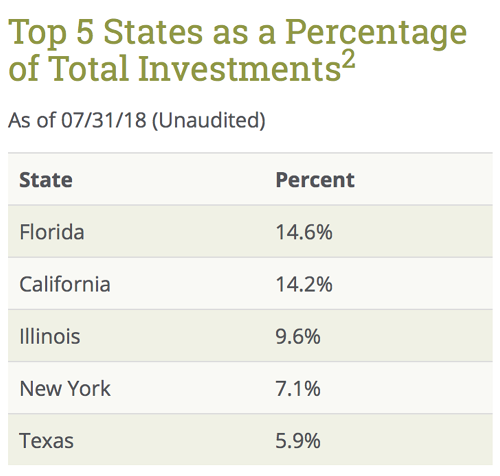 A big problem with many muni CEFs, however, is that they each tend to focus on one state, and bad news hitting that state can hit these funds’ values quickly, even if the fund’s fundamentals remain strong. That diversified portfolio helps secure the fund’s 4.5% dividend yield, which is tax-free at the federal and state levels for many Americans. 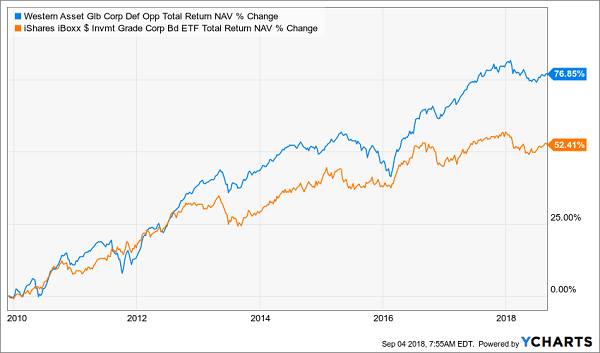 DTF’s outperformance and strong income stream should come at a premium; instead, the fund trades at a 12.3% discount to NAV! That’s far below its 6.7% average discount over the last decade, and it makes DTF a great, safe buy for muni exposure. And since it has over 150 issues from 32 states, this fund alone gets you the diversification you need. GDO’s recent price slide handed us that nice discount (it was trading at a 5.5% discount at the start of 2018). 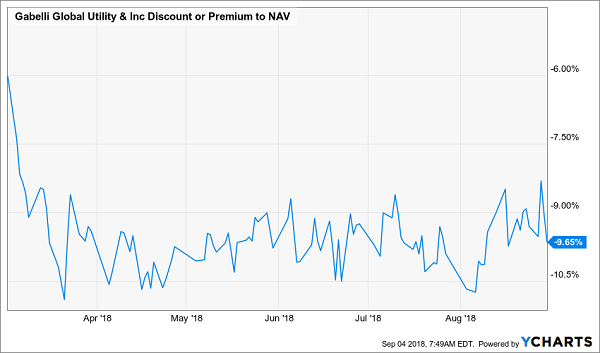 That markdown also means the fund’s dividend will be more sustainable going forward, because while the yield on its share price is 7.4%, the yield on its underlying NAV is a significantly lower 6.8%. That’s a significantly lower figure, and it’s the one that really matters when it comes to dividend reliability. So we can look forward to enjoying GDO’s outsized dividend stream and some nice price upside here, to boot. My all-star retirement portfolio contains 8 of the absolute best preferred stocks, REITs (real estate investment trusts) and CEFs (closed-end funds) out there. 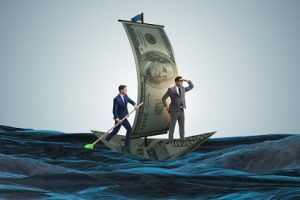 It’s well diversified across all types of investments and sectors, and the cash flows funding these dividends will do well no matter what happens in the broader economy or stock market. Plus, relentless dividend growth means your 8.0% yield will be more like 10% in short order. You don’t need a million dollars to be comfortable in retirement. In fact, using this portfolio, you can be well on your way to security and comfort with just a half-million dollars to invest! And again, you never need to worry about budgeting around “lumpy” dividend payouts where you’re “rich” in January but get just a trickle of cash in March. These monthly dividend payers will ensure a smooth, steady stream of cash – you know, to tackle that smooth, steady stream of bills. I’m ready to take you inside this “no-worry” retirement portfolio now. Click here and I’ll show you the 8 bargain investments inside it and give you their names, tickers, buy-under prices and much more. Michael Foster is an Investment Strategist at Contrarian Outlook. Most interesting and titillating article. I enjoyed it.